"Would recommend and use your taxi service again, good competent driver .. Festas (excuse spelling) a lovely man, Comfy car, and everything perfect." "Festas (excuse spelling) took us to and from Gatwick Airport, what a great driver, comfy car and a lovely man, would recommend him and your Company to anyone." Welcome to Southampton Executive Taxis, your premier Taxi Company. To get a quote or make a booking use our fast and efficient online system powered by Click-4-Chauffeur. Southampton Executive Taxis Associated with Select cars Southampton specializes for all your personal and business travel; weddings; sporting events; evenings at the theatre; airport and seaport transfers; individually tailoring its service to our valued clients' needs. Use the postcode look-up on the left or click the Booking tab and follow the easy steps to get an instant on-screen quotation. We operate executive chauffeur driven vehicles 24 hours a day, 365 days a year. Book online and receive payment protection via Paypal, email confirmation and a printable receipt 24 hours a day. We always aim to answer enquiries as quickly as possible. If your enquiry is of an urgent nature or you do not wish to use our online chauffeur booking system, please contact us directly on the number above. We have a superior fleet of executive vehicles which include Mercedes Benz, BMW and people carriers. All our executive vehicles are kept immaculately clean and you will find our drivers to be well presented, courteous and helpful. We welcome account customers and contract work. Select Cars Southampton is an executive travel/chauffeur service company. Our aim is to provide our customers with a high quality service at a reasonable price. 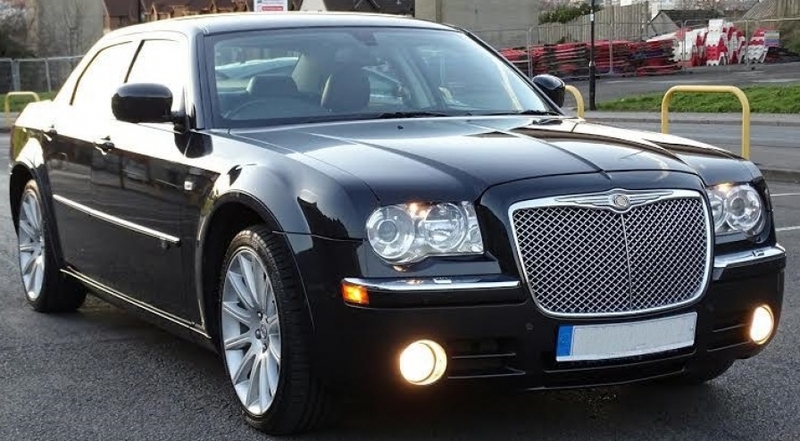 Whether your travel is for business or pleasure, our Chrysler 300 c STR will take you to your destination in comfort and style. We provide a professional chauffeur service at a competitive price.